They still stick close together for at least the first week out of the nest. 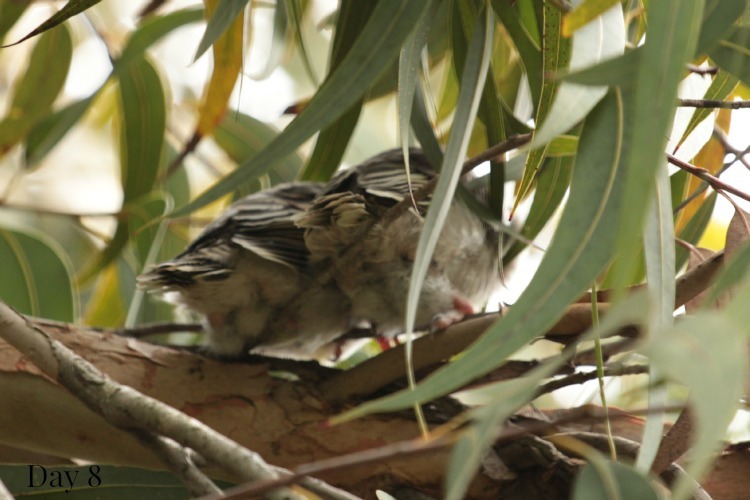 I loved seeing these two little tails poking down from a nearby branch when I realised they had left the nest. Sweet as can be. What a treasure your family and home are and how you cherish all of it.